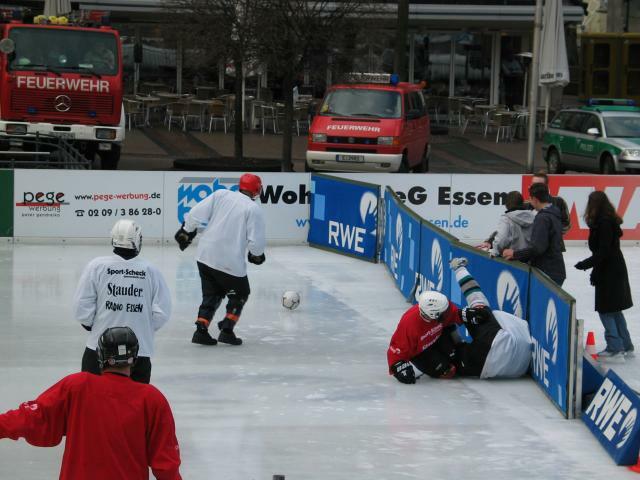 Ice soccer in Essen. 1/3 of the outdoor skating rink (itself slightly smaller than a pro hockey rink) was blocked off for this goofy and dangerous game. Note the fire trucks in the background; the red team was from the fire department, and when they finally scored a goal the firemen in the trucks set off their lights and sirens.